Installing electrical panels is a very specialized task. The professionals at Shogun Services are here to help business and homeowners in Central Virginia get their circuit breakers installed, repaired, or replaced properly and in a safe manner. Typically, businesses, homes, and rental properties require a trained professional to handle this type of dangerous work. Always use extreme caution when working with electrical panels, making sure the power is cut off before you start troubleshooting anything that has to do with electrical wiring – better yet, just give us a call and we’ll handle even the most complicated circuit breaker issues. 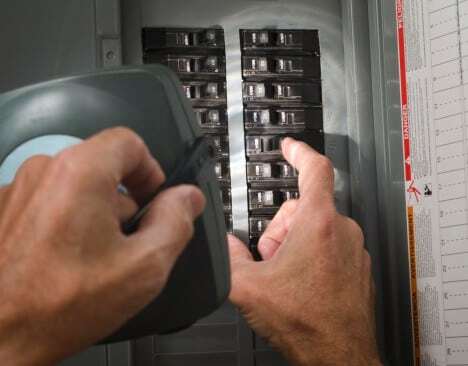 We’ll make sure your circuit breaker is connected to power and mounted in a convenient but safe place in your home, keeping it out of reach from small children or animals. We’ll work directly with you to make sure all of your lighting, fans, appliances, and other devices are mapped out to your specifications so you know which breaker to flip in the event of a power surge. Shogun Services can run all the new wiring and connect it seamlessly to your electrical panels. We’ll make sure all electrical breakers are sized and connected properly to handle modern appliances and smart homes. Remember, working with electrical panels and circuit breakers is a complicated and dangerous task. Central Virginia customers rely on Shogun Services to come to the rescue if you’re having trouble with power in your home, a fuse is blown, or any other complicated electrical problem.